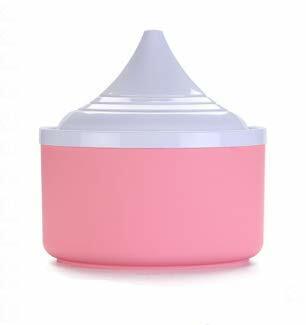 Specifications: The water box has a diameter of about 12 cm, a lid diameter of about 13 cm, a height of about 8 cm, and a cushion diameter of about 18.5 cm. USB supply voltage is 5V, no power adapterWeight: about 281 grams, (pump: about 91 grams)Precautions:- This product withstand voltage 5v, power 2w, theoretically use 500 hours of power consumption once- This product is powered by USB, safe and reliable, but please don't let the pet bite the wire- Try to ensure that the water level is more than two-thirds of the height of the pump during use, so as not to leave the water machine-The product is made of food grade plastic material, safe and non-toxic, and the box withstand temperature -20 °C-120 °C-With two different lengths of water outlets, one of them can be used as needed- There are picks on the side of the pump to adjust the amount of water- If the pump is used for a long time, there will be a problem of power reduction. If it is not possible to continue normal use, please replace the pump.- The pump is damaged and cannot be dismantled and repaired.-The pump is guaranteed for one month, and it will be purchased and replaced by itself. Specifications: Faucet Connector Diameter(Internal): 2.4cm / 0.94" Hose Connector Diameter(External): 1.4cm / 0.55" Product Weight: 1551g / 54.7oz Features: Apply stainless steel & brass, quite durable. Provide flowing fresh drinking water at all times. 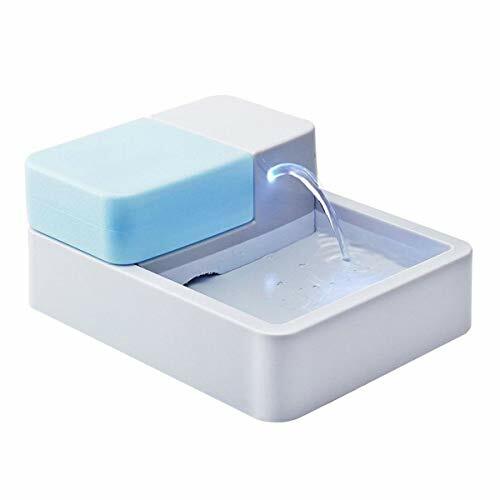 Convenient to use, step on the pad for a gentle stream of clean water. Quick to install and easily attached to garden hose or faucet. Perfect for all-sized dogs, cats to use. Brand: Luck2421 Pet Accessories Tools. 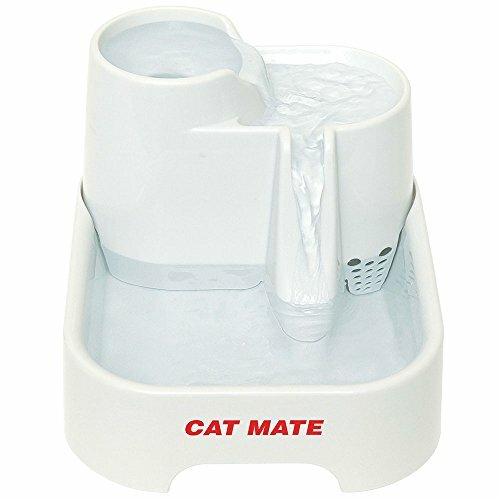 Pet water automatic circulation fountain. 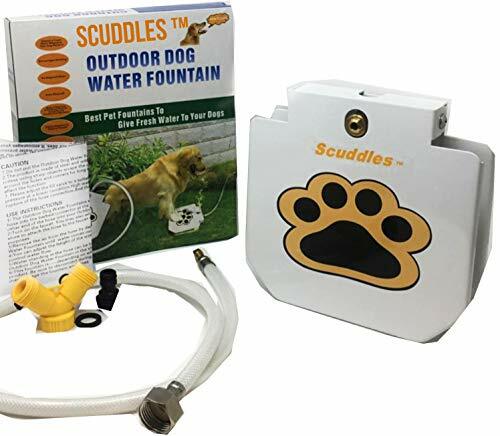 Free flowing fountain water encourages pets to drink more water.Product specifications:1. Size: 18*19cm2. 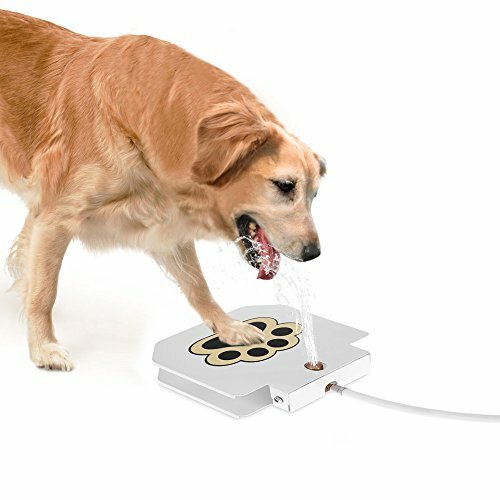 Material: ABS1.Pet Safe power supply: The 1.8 meter cable is equipped with a 12v transformer with a 3-pin UK plug to ensure that the power will not harm your pet if the cable is accidentally damaged.2, lack of water protection: When the amount of water is insufficient, the principle of floating ball is adopted to ensure the normal operation of the pump and solve the hidden danger of dry burning.4.2 Wastewater mode: i. Spray water (suitable for cats or small pets) ii. 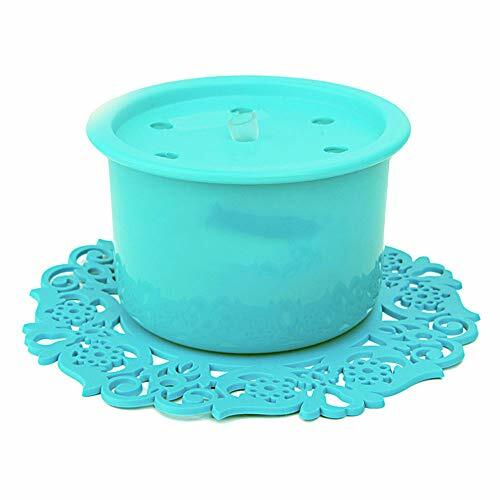 Water in a water storage bowl (suitable for large dogs or other pets).note:1. Water plus warning: If the fountain makes noise, it means that the water is insufficient, please add water in time! With enough water, the noise will disappear! (Water can be added directly along the sprinkler. )2.Warm reminder: Please avoid pet bite line. The 1HP WaterSmith PRO Fountain features a commercial duty pump with cast iron and stainless steel construction. This powerful pump delivers a high-volume nozzle for cleaner, bigger display and easier adjustment while adding to the health and beauty of your pond. We've spent over 25 years perfecting our products to ensure that WaterSmith fountains are the most energy-efficient on the market, featuring low power consumption and high pumping output. 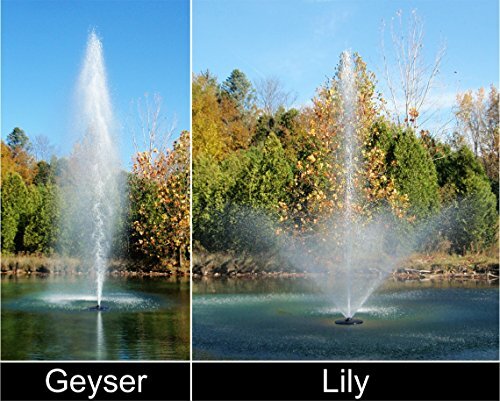 Lily and Geyser patterns are included with every fountain purchase. This unit comes with a 100' electric cord with 110v plug. 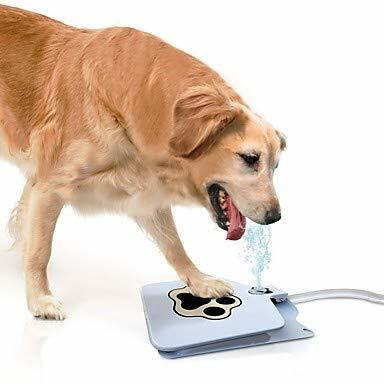 Don’t deprive your pets of fresh drinking water just because you have a busy schedule or aren’t careful enough to do timely refilling of water bowls – our pet water fountain offers a private tap for your beloved pet, and a fresh stream of water when needed. Looking for more Freshwater Fountain similar ideas? Try to explore these searches: Blue Kitty, Steel Toe Waders, and Reef Discs.